Fashion Police head writer shares his memories. 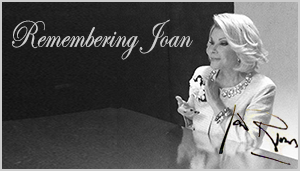 Joan Rivers' friend, colleague, reflects. Tony Tripoli, head writer of E! 's "Fashion Police," shares how late comedian Joan Rivers changed his life.